Welcome home to 9122 Hatton! 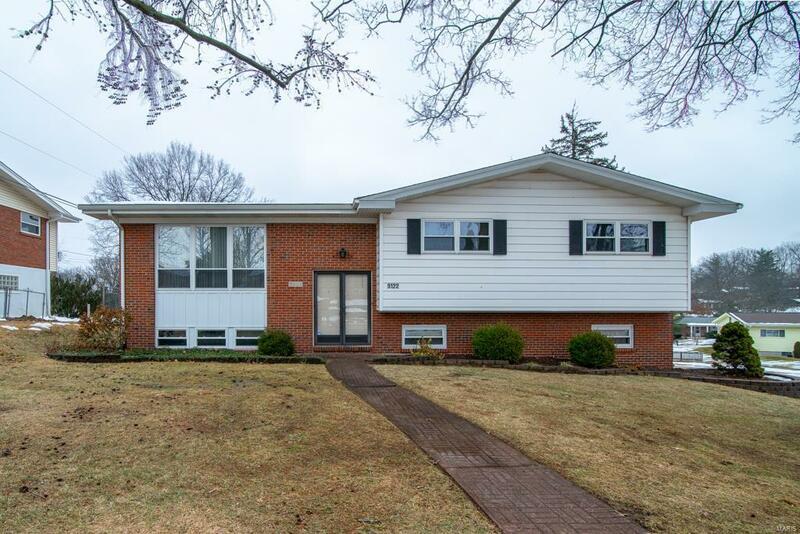 Lovely 3 bedroom, 2 bath split level home in Crestwood and the Lindbergh School District. Only a block away from Whitecliff Park. Open floor plan with a living and dining room combination that includes beautiful wood floors and lots of windows. Eat-in kitchen with pantry and slider to deck. Three spacious bedrooms with wood floors, two of the bedrooms have ceiling fans and double closets. Lower level features a carpeted rec room, laundry room with walk-out, and a storage area. Also a two car tuck under garage. Corner lot with a fairly level backyard and large deck. All appliances stay including a washer and dryer and two refrigerators. American Home Shield home protection plan included. Home to be sold in "as is" condition - seller will make no repairs or provide any warranties except the home protection plan. Hurry - you don't want to miss this one!